Easier asked than answered. But hard as it is to predict what flavor will seize the nation’s gastronomic attention, it’s a question that must be raised — constantly — in today’s hyper-competitive foodie environment. And there are plenty of Next Big Thing flavor candidates in the baked goods industry as 2018 draws to a close and a new year beckons. International flavors have been on the industry’s radar for some time, said JoAnn Rupp, global market insights manager, bakery, for Lenexa, Kan.-based Corbion. Maeve Webster, president of consultancy Menu Matters, agrees. 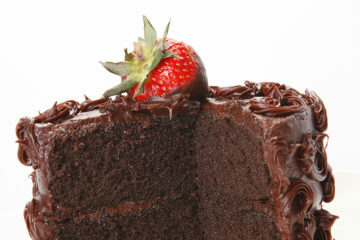 Ethnic trends that may have first manifested in restaurants are making their way to other channels, including bakery. Citing the McCormick Flavor Forecast, Rupp said more and more consumers are searching out Asian foods that are spicy, smoked and savory. When it comes to baked goods in particular, she said, look for increased use of flavors like bay leaves, thyme, turmeric and allspice. Other trending flavors on the horizon, Rupp said, include spicy and savory blends, fruits, sweet spices and rich flavors like cinnamon and chocolate. Matcha will be another flavor to keep a close eye on in 2019, said Amy Marks-McGee, president of consultancy Trendincite LLC. Popular in drinks and other categories, expect matcha to make a big splash in baked goods next year. 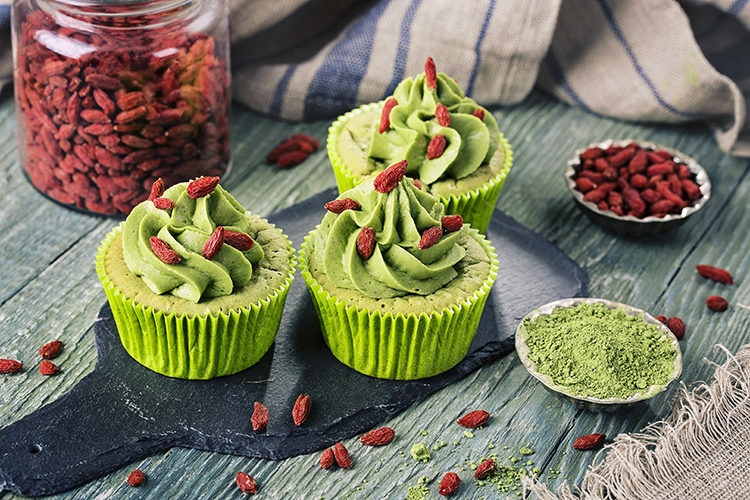 “Matcha is going mainstream, and I expect matcha as a flavor to appear in other applications such as desserts like matcha cupcakes and donuts at instore bakeries,” Marks-McGee said. Marlo Masterlerz, research & development chef and director of R&D for seasonings specialist Excalibur Seasoning Co., agrees that matcha and international flavors will continue to be popular in 2019. Other flavors to keep an eye on, according to Masterlerz: cocoa, turmeric and regional spices. Sweet browns (caramel, raw sugar, maple, honey, brown sugar), varietal honeys (key lime orange blossom, avocado), smoke, coffee, tea, ginger, varietal citrus, dark chocolate, coconut, vanilla are among the flavors Suzy Badaracco, president of consultancy Culinary Tides Inc., said she’ll be monitoring closely in the coming year. Many times, Badaracco said, a flavor that should be a winner struggles in the marketplace because of the context in which it’s presented. Consumers need to be able to make a connection with the new flavors they’re trying. When you’re thinking trendy, experts looking ahead to 2019 say, don’t forget hot — spicy hot, that is. The chances of “the next sriracha” being something like sriracha are pretty good. Also in 2019, look for continued emphasis on baked goods that are good for you — but also on foods that make you feel good (e.g. comfort foods). “Fresher ingredients are increasingly being used, and I think these operators are looking to expand skill bases to have more made fresh and increasingly from scratch,” Webster said. Today’s consumers, Rupp said, crave indulgent flavors, but they also want healthy options. Looking ahead to 2019, bakers will continue to seek ways to boost taste and texture while meeting consumer demands for less sugar, reduced calories, and gluten-free or free-from products. On the comfort side of the equation, meanwhile, expect new variations on some familiar themes, Marks-McGee said. “I think classic comfort food such as PB&J will continue, but there will be new applications that use this flavor duo — perhaps in instore bakery,” she said. PB&J innovations are well underway, Marks-McGee said, citing products like Hormel Foods’ Skippy P.B. Fruit Bites, a line of bite-sized real dried fruit snacks covered in peanut butter. The “portable and poppable” treats are available in both Strawberry-flavored Dried Cranberry and Dried Grape. Snack-sized whole grain oat bars and ice cream are among some of the other products companies have rolled out to keep up with the trend. In 2019, purveyors of baked goods will keep a close eye on the calendar when determining what flavors to serve their customers, Marks-McGee said. For fall sales, look for pumpkin variations on muffins, pies and other baked goods, Marks-McGee said. Maple and maple combinations are also trendy fall flavors. Fall isn’t the only time of year when bakers are looking to differentiate themselves with seasonal products, she said. In spring and summer for instance, expect to see an uptick in the use of lemons, berries and other seasonal fruits. To help its customers stay on the cutting edge of flavor development, Corbion offers a variety of solutions to help bakers deliver quality products that meet today’s demands, Rupp said. In addition to its easy-to-use bakery blends, Corbion also offers its customers its Meister flavor blends, which can be added to existing bakery formulations to jazz up breads, rolls, bagels and tortillas. The easy-to-use dry blends consist of a mix of spices, herbs, vegetables and specially milled grains, which, Rupp said, help bakery manufacturers create flavor-infused products that appeal to today’s adventurous consumers.